Unitarian Universalists convenant together to affirm and promote the free and responsible search for truth and meaning. How does this apply to an individual's life? People struggle to make life decisions. Should I stay married or get divorced? Should I stay in this job or look for another? Should I say here or move? Should I talk to her anymore or give up on the friendship? The person is torn between choices and finds it hard to make a decision. The longer one ponders the more one starts to ruminate. If the rumination increases so does the consequent anxiety and depression sometimes leading to fear at disabling levels. As it is written in A Course In Miracles, the tolerance for pain may be high but not without limit. Simple. Turn your will over to God's will for you. God's will be done. 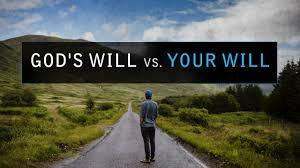 Can you bring your will into alignment with what you believe is God's will for you? The word for seeking God's will is "discernment." How does one discern God's will? We will make suggestions for how to discern God's will in future articles. For now be assured that you don't need to make decisions all by yourself. Ask the Holy Spirit, Jesus, God, the Spirit of Life, the Muse, Mother Nature, the Great Spirit, your Higher Power for guidance and be open to what you sense as the answer.